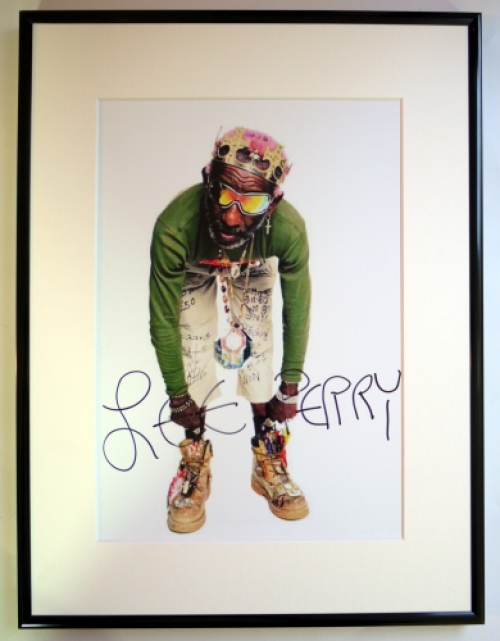 A stunning signed 12" x 8" photo of Lee Perry which he has signed personally. Framed in a 16" x 12" (40cms x 30cms) black frame with mount and covered with plexi-glass (which doesn't break like glass). A must for any fan or collector. We do not deal with copies or preprints of any kind. An unique item from Everythingcollectible.Inc.